1284057097 -The Bestselling Microbiology Text for Health Science and Nursing Majors Just Got Better! 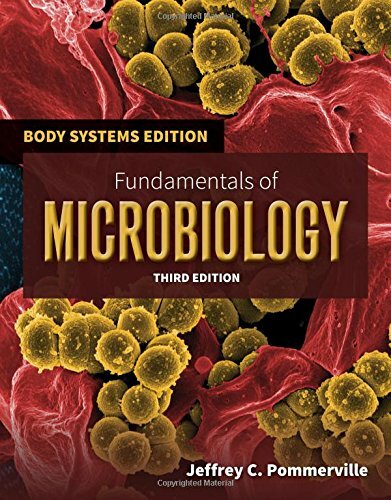 Ideal for health science and nursing students, Fundamentals of Microbiology: Body Systems Edition, Third Edition retains the engaging, student-friendly style and active learning approach for which award-winning author and educator Jeffrey Pommerville is known. Highly suitable for non-science majors, the fully revised and updated third edition of this bestselling text contains new pedagogical elements and an established learning design format that improves comprehension and retention and makes learning more enjoyable. Unlike other texts in the field, Fundamentals of Microbiology: Body Systems Edition takes a global perspective on microbiology and infectious disease, and supports students in self-evaluation and concept absorption. Furthermore, it includes real-life examples to help students understand the significance of a concept and its application in today’s world, whether to their local community or beyond. New information pertinent to nursing and health sciences has been added, while many figures and tables have been updated, revised, and/or reorganized for clarity. Comprehensive yet accessible, Fundamentals of Microbiology: Body Systems Edition, Third Edition is an essential text for non-science majors in health science and nursing programs taking an introductory microbiology course.